It’s something you’ve seen all around you too. You maybe even thought it was all a bit ridiculous as well. However, it’s not going away anytime soon. It’s growing by the billions each year. And now you can get in on it all. I’m talking about bottled water. Yes, that’s right. Plain old bottled water. It seems a bit out there, but it has made fortunes for bottled water companies and their early investors. Now it’s set to do so over again. Sign up below to learn about one of America’s fastest growing bottled water companies and how you can get in on it right now. 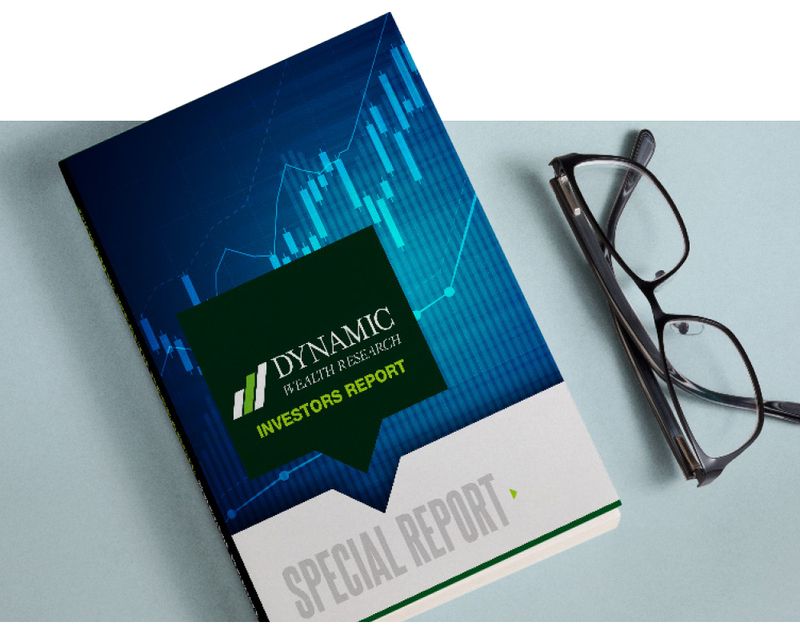 You can claim your copy of the latest report exclusively released to Dynamic Wealth Research readers and learn all about it right now. Just insert your email address below and all the details will be emailed instantly to you. FREE REPORT: Don’t miss out on our exclusive report. This isn’t just some bottled water company though. It’s technically an an enhanced or healthly bottled water company. The difference is critical. The health-focused nature of the bottled water makes it an instant premium beverage product which has been the foundation of so many past beverage stock winners. The reason: they are sales and earnings machines. Americans will restrict their driving and complain endlessly when oil prices are up and gasoline is at $3.00 a gallon. But when they are asked to hand over their cash at eight times the cost for premium and healthy bottled water (even higher for some “high-end” waters) many will happily do so over and over again. That’s why it’s no wonder a premium beverage stock like National Beverage Corp (FIZZ) rose 1343%. Or SodaStream (SODA), which allows users to make sparkling water at home, soared 563% in less than three years. And Cott Corp (COT), a leader in coffee and tea extracts, was trading for 76 cents in 2009 and today it’s $16.50. Total gain there was 2071%. And Monster Beverage Corp (MNST), which makes premium energy beverages, soared from the equivalent of just $0.08 to $57 today. That’s a total potential gain of 71,150%. The potential with beverage stocks is astronomical. The thing is though, you’ve got to be early. That’s why Dynamic Wealth Research sees this current $2.00 bottled water stock as one you’ll regret not taking a few minutes to look at today. Just sign up and the box below and we’ll send you a copy of this report right now! Dynamic Wealth Research (DWR) SAFE HARBOR STATEMENT: Statements contained in this online report and document, including those pertaining to estimates and related plans, potential mergers and acquisitions, estimates, growth, establishing new markets, expansion into new markets and related plans other than statements of historical fact, are forward-looking statements subject to a number of uncertainties that could cause actual results to differ materially from statements made. DWR provides no assurance as to the subject company’s plans or ability to affect any planned and/or proposed actions. DWR has no first-hand knowledge of management and therefore cannot comment on its capabilities, intent, resources, nor experience and makes no attempt to do so. Statistical information, dollar amounts, and market size data was provided by the subject company or its agent and related sources believed by DWR to be reliable, but DWR provides no assurance, and none is given, as to the accuracy and completeness of this information. DISCLAIMER: The information, opinions and analysis contained herein are based on sources believed to be reliable but no representation, expressed or implied, is made as to its accuracy, completeness or correctness. Past performance is no guarantee of future results. 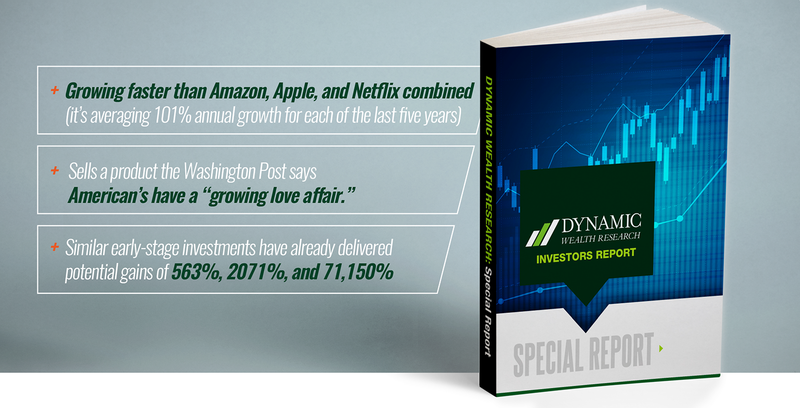 Dynamic Wealth Research is an independent subscriber/membersonly news website. This online report and document is a solicitation for membership in the Dynamic Wealth Research service. Dynamic Wealth Research did not receive any Direct compensation with respect to the writing of this online report and document. This stock was chosen to be profiled after Dynamic Wealth Research completed due diligence on the stock. 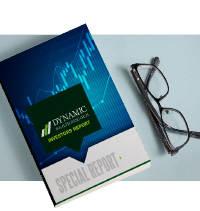 Dynamic Wealth Research expects to generate new membership revenue, the amount of which is unknown at this time, to its website through the distribution of this online report and document. This constitutes a conflict of interest as to DWR’s ability to remain objective in its communication regarding the subject company. Analysts, principals, associates and employees of DWR do not own or trade equities under coverage. For detailed disclosure as required by Rule 17b of the Securities Act of 1933/1934. DWR is not an investment advisor and this report is not investment advice. This information is neither a solicitation to buy nor an offer to sell securities but is a paid advertisement. Information contained herein contains forward looking statements and is subject to significant risks and uncertainties, which will affect the results. The opinions contained herein reflect our current judgment and are subject to change without notice. We encourage our readers to invest carefully and read the investor information available at the web sites of the U.S. Securities and Exchange Commission (SEC) at http://www.sec.gov and the National Association of Securities Dealers (NASD) at http://www.nasd.com. The NASD has published information on how to invest carefully. Readers can review all public filings by companies at the SEC’s EDGAR page. Third Party/Agency Disclaimer: Content of this message is published by Dynamic Wealth Research and sent to select our mailing list through various marketing media to provide readers with information on selected publicly-traded companies. dynamicwealthresearch.com newsletter (hereafter called “DWR”) is an information and marketing firm wholly owned by Dynamic Wealth Publishing, LLC and is not a financial analyst, investment adviser or broker/dealer. DWR is in the business of marketing and advertising companies to generate exposure of them by sending alerts to our subscribers for monetary compensation. Dynamic Wealth Publishing, LLC has been compensated from IR Media Services Inc. (a non-controlling third party) for advertising and promotional services. Please see full disclaimers on the dynamicwealthresearch.com website applicable to all content provided by DWR, wherever published or re-published: https://dynamicwealthresearch.com/about/disclaimer. This news release/advertorial is a commercial advertisement and is for general information purposes only. We are engaged in the business of marketing and advertising companies for monetary compensation. Never invest in any stock featured on our site or emails unless you can afford to lose your entire investment. It is possible that a viewer’s entire investment may be lost or impaired due to the speculative nature of the companies profiled. Remember, never invest in any security of a company profiled or discussed on this website unless you can afford to lose your entire investment. Also, investing in small-cap and micro-cap securities is highly speculative and carries an extremely high degree of risk. This website makes no recommendation that the securities of the companies profiled or discussed on this website should be purchased, sold or held by viewers that learn of the profiled companies through our website.